By the end of August, all the dioceses of China have to present a five-year plan (2018-2022) to the National Patriotic Association (PA) and the Council of Bishops (BCCCC) on how they can implement the syncization, commissioned by Xi Jinping. The National Five-Year Plan augments the physical control over members of the Church (bishops, priests, laity), also control over culture, theology, social doctrine, art, architecture, liturgy. A political and non-religious document: Jesus Christ is mentioned only once; the Patriotic Association is mentioned 15 times. 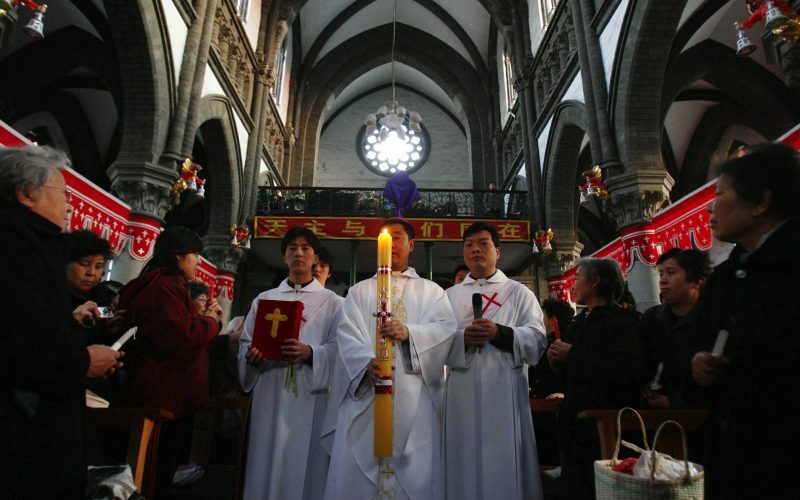 Rome (AsiaNews) - The entire Church in China, official and underground, is about to enter a new, great prison through one magic word: sinicization, assimilation to Chinese culture and society and above all submission to the Party. It will allow the Chinese Communist Party (CCP) and the Patriotic Association to control not only people (bishops, priests, faithful), but also what they think and the fruit of their thinking: historical records and interpretations, theology, social doctrine, architecture, sacred art and even liturgical books and liturgy. 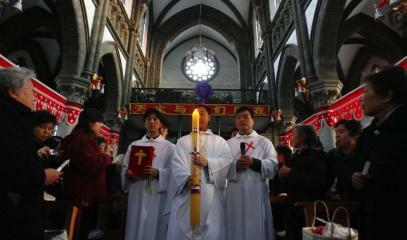 In short, a political colonization of the minds and consciences of Chinese Catholics. By the end of August, all the dioceses of China must submit to the National Patriotic Association (CCPA) and the Council of Bishops (BCCC) a five-year plan (2018-2022) on how they can implement the sinicization. For this reason, the CCPA and the BCCC have drafted a national "Five-Year Plan", which serves as a model and inspiration "to advance the Catholic Church's accession to China towards the sinicization". The word "Jesus Christ" is mentioned once only in the 15-page document; the word "Gospel" 4 times; but the term "Communist Party" is mentioned 5 times and the word "Patriotic Association" 15 times. The English translation of this five-year nation plan has been published by UCAN newsagency; the text in Chinese came to us from Card. Joseph Zen, bishop emeritus of Hong Kong (see attachment below). The theme of sinicization was launched by Xi Jinping as early as May 2015. 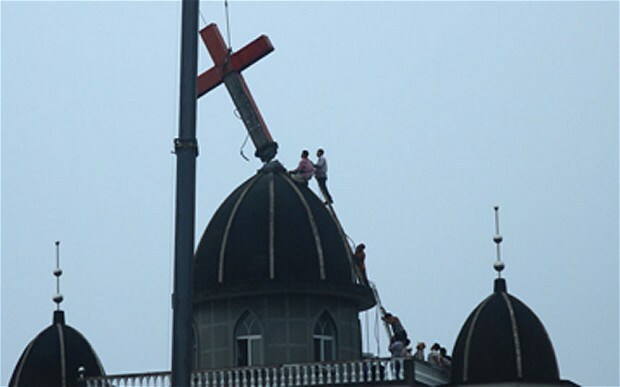 After an analysis of the situation, in which the Chinese Communist Party feared a similar fate to that of the USSR, on May 20, 2015, in a meeting with the United Front, Xi decreed that religions must "sinicize" if they want to stay in China. The same theme was reiterated at a national meeting on religious affairs in April 2016, and also turned up in the footnotes of the intervention on religions at the 19th NPCC Congress, in October 2017. In all these interventions, Xi places sinicization in a relational context with submission to the CCP, with independence from foreign religious powers or policies (including the Vatican), with the strengthening of "democracy" in religious decisions (divesting religious authorities of all power). The National Five-Year Plan extends the field of sinicization by enveloping not only the physical control of the members of the Church, but also the cultural, theological and liturgical control. In the original 15 pages of the document, divided into 9 chapters, it addresses not only the subject of submission to the CCP (n.2) and adherence to socialism with "Chinese characteristics", but also the integration of Catholicism with Chinese culture (No. 4); the development of a theology with Chinese characteristics; re-reading the history of the Church in China through the lense of sinicization (No. 5); exploring liturgical expressions with Chinese elements (No. 6); how to sinicize architectural works, paintings and sacred music (No. 8). All this must take place under the supervision of the PA and the BCCC, founding avant-garde theological academies, centres of historical study, institutes of Chinese Catholic culture, liturgical centers, all subjected to the leadership of the PA and the BCCC who exercise control, supervision, evaluation, to "correct", "create consensus", "oppose those who oppose". Above and beyond the fact that the Catholic Church in China must "accept the leadership of the Chinese Communist Party" (No. 2, 3): how could one escape the omnipotent and omniscient system of control and power? Moreover, what about the "implement the core values of socialism as well as to strengthen their own base to push forward with evangelization and pastoral work" (No. 2,2)? What is the purpose of Benedict XVI's question in his Letter to Chinese Catholics, in which he asked for the freedom to work in society by working "for justice" (Letter, No. 4)? What about this "forced sinicization", in which a vanguard creates models that others must apply, "opposing those who oppose"? From the Catholic point of view there are two problems: the first is that - as Pope Francis affirms in the Evangelii gaudium (no. 115 et seq.) - inculturation is something entrusted to the entire Holy people of God (and not to a select few, however enlightened). The second is that in matters of inculturation the People of God must be left free and not forced. The "sinicization" project - that is, to insert the proclamation of the Gospel into the Chinese culture - the different spheres of the life of the Church is to be applauded and shared. But it must be said that this commitment is what Christians have been trying to do from the first proclamation in China (which is that of the Syrian Christians of the seventh century, not mentioned in the document, which instead mentions the Jesuits of the Ming and Qing era). 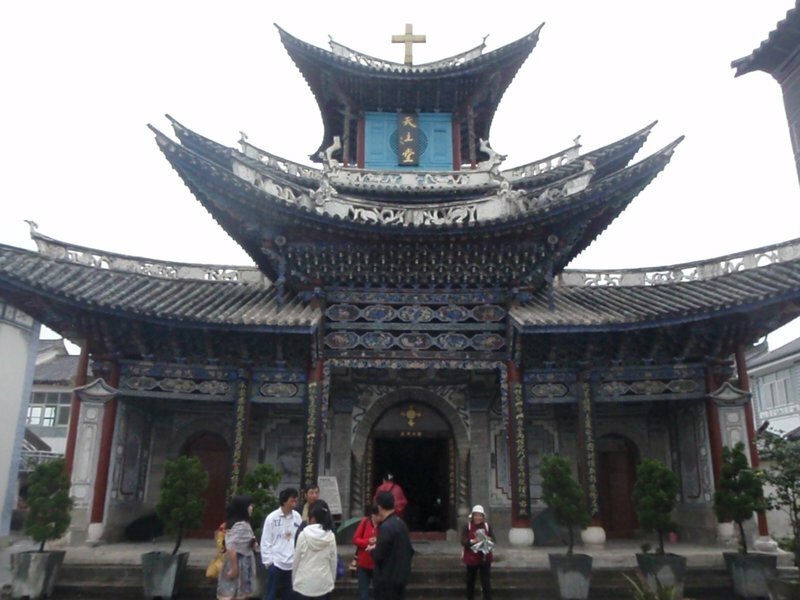 A controversial point is the one on Christian buildings that must increasingly reflect Chinese style (as the nuncio Celso Costantini had already recommended 100 years ago). But Catholics - in freedom - may also like Western-style buildings. To make a secular comparison, the Shanghai rich - and members of the Party - prefer skyscrapers designed by foreign architects and even the buildings of the Bund, that of the old concessions, have become among the most expensive buildings in the metropolis. The document states "view that styles of church structures, painting and sacred music must be westernized should be changed" (No. 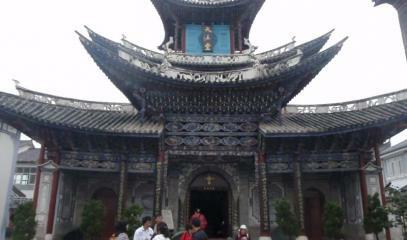 8, 1), but it is conceded that it is possible to construct structures in Chinese and Western style. Yet, in recent months we are witnessing the iconoclasm of local governments in Henan, Inner Mongolia and Xinjiang where churches and decorations are destroyed because "Western". The fear is that this momentum towards the sinicization is only a chain and a control over the theological, historical, social, artistic works of Catholics. It is evident that such control leads to partiality, seen in the fact that several Catholic cultural centers have begun to enthusiastically study Catholic and Protestant personalities who have condemned or opposed the Japanese colonization of China. Unfortunately, nothing is heard about the lives of Catholics during the early period of Mao and during the Cultural Revolution and the persecution and murder of bishops, priests and laity. Soon we will have history books duly sterilized and adapted to the wishes of the prince, according to the imperial Chinese tradition. The deep impression that this document makes is that of a political manifesto with very little religious or theological subject matter. And even if its constantly quotes both "PA and BCCC", the power lies completely with the "PA".